One of the greatest challenges today in corporate learning and development is uniting people, processes, technologies, and content across functional and geographical boundaries. The challenge is to blend disparate learning activities and instructional methods delivered through multiple channels and in multiple environments to create a seamless – or nearly seamless – engaging learning experience. No small task! How do you begin to connect the various pieces? How do you provide learners with access to the best environments? 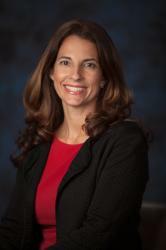 How do you facilitate the new do-it-yourself (DIY) learning preferences? What strategy is needed? And, how do you implement that strategy? 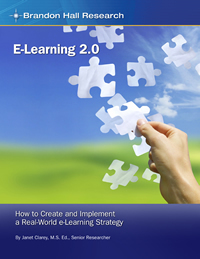 Written by Senior Brandon Hall Research Analyst Janet Clarey, M.S.Ed., E-Learning 2.0: How to Create and Implement a Real-World E-Learning Strategy provides advice and examples to help you answer those questions. While no one-size-fits-all model exists for implementing an e-learning 2.0 strategy, this report will provide you with a starting point for analyzing and executing a real-world e-learning strategy.